(History) Kalisie was the very first celestial being ever created by the gods. He was created trillion upon trillions of centuries ago, long before the universe was created. Due to his age, he has no memory's of his childhood, and most of the powers he had in his prime are also forgotten, although he still remembers all of his most favored skills and powers. He has journeyed across the farthest reaches of space, as well as throughout hundereds of different universes withing different dimensions. (Personality) He is very kind and generous, and he gets along with just about everyone, however if you mess with any of his friends he wont hesitate to tear your body to shreds from the inside out. He considers himself to be a teacher, and thus will teach just about anyone about every known type of magic, including magic that nobody else has even heard of, as well as the basic elemental powers. He is usually very calm under most circumstances, provided you don't piss him off by trying to hurt his friends. (Appearance) In his normal form he looks just like an ordinary person, asside from his not so oridnary bright red eyes. His clothes consist of pure black pants, and a black jacket made from a material never before seen in the universe, it is said that the material was crafted by the ancient gods of Antalorn. An ancient madallion covers his entire chest, and half of his right arm. A large crystalized jewel sits at the center of the madallion, and is said to be the core center of his power. 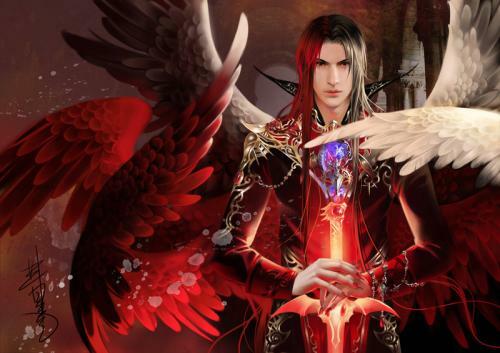 In his arcangel form, he has up to 12 pairs of wings, his upper 6 pairs are white, and his lower 6 pairs are black. He has one extra wing that he rarely uses, which is obsidian black, and spreads along his spinal cord horizontaly, which arches over his head like a scorpions tail. He refers to that wing as his chaos wing, but he has never explained what that wing is for. 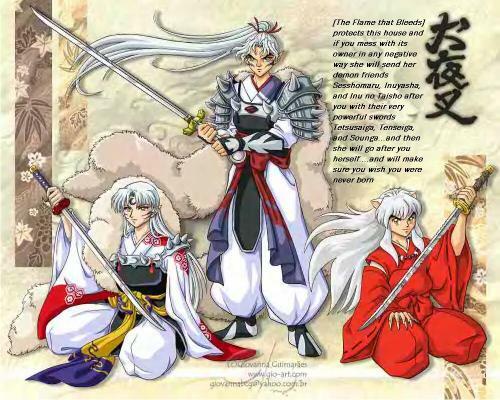 He carries a bright red glowing long sword, with a carbonized diamond alloy blade, combinded with an unknown material, much like the same material his clothes are made from. The blade has a glowing black guard in the shape of bat wings. The hilt has an ornate, ancient design that covers the entire thing, at the top of the hilt sits a small red jewel that is said to be a ruby with the combined souls of all the gods that created him. Rumor has it that anyone that touches the sword, besides him, dies a very painful and excrutiating death, and their soul vanishes from the world as though it never existed. (Main abilities) He is able to very effectively control ALL of the elements, including light, darkness, time, and space, as well as elements unknown to others. He has mastered every known sword fighting style, as well as styles never before seen in any universe. He is the master of every type of magic, and can bend the universe to his will. It is said that he also has the power to control pure raw magic, although very few has actually witnessed it, and those that did died before they could talk about it. He has a silver tongue and can always get on the good side of almost anyone. His main weakness is simply the fact that he tends to over think everything, even small, meaningless things. Exact place of living: Somewhere between this dimension and the next.